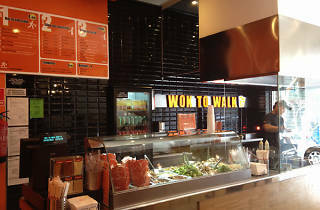 This quality fast-food chain won the Time Out Amsterdam prize in 2010 for the best fast-food restaurant. What makes them so great are their stir-frys, made with fresh ingredients in an open kitchen where the masters of the wok play with fire to cook up your made-to-order dish. The result is a crunchy, healthy meal bursting with flavours. As you step up to the counter, first you order your base of either noodles or rice, and then you choose as many as you like from among the 15 ingredients (including fresh vegetables, chicken, tofu, prawns, etc.) and a special sauce. The average dish is about €8, but you can eat for as low as €4.95. 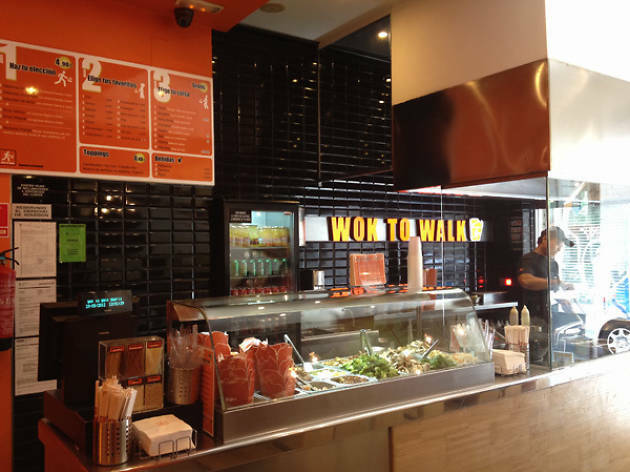 The long operating hours make Wok to Walk a great place to grab a bite without having to look at your watch, especially late nights out on the town.